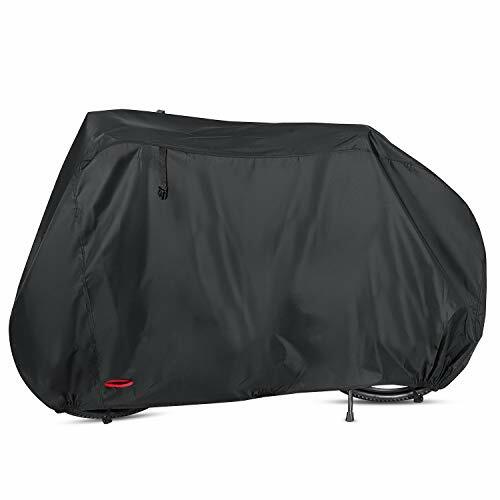 Whether you store your bike inside a garage or in the yard, you want it to stay dry, without dust or scratches and protected against sunlight – that’s what this high quality 210D Oxford Fabric waterproof cover will do for you. 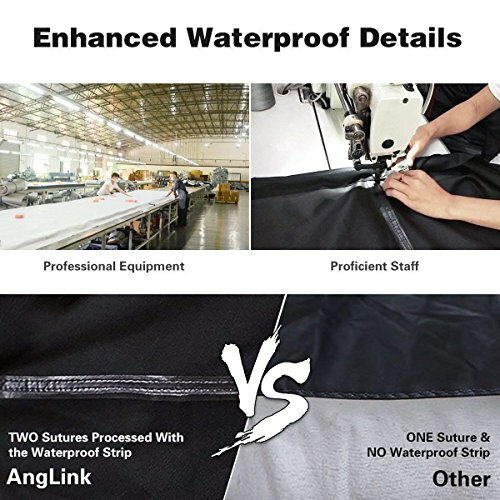 Thanks to the heat seamed sealing, Anglink bicycle cover is completely waterproof. 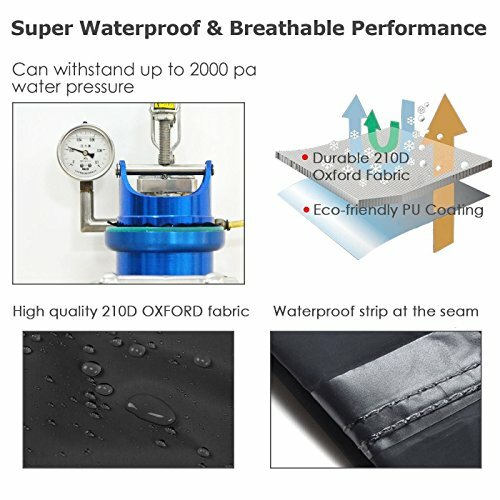 【Durable & Waterproof Protection】Durable & Waterproof Protection: 210D Oxford Fabric with ‘double stitching’ & ‘heat sealed’ seams, completely resolve the problem of water seepage of other similar products.which is more weather-resistant, tear-resistant and wear-resistant than 180T, 190T material. 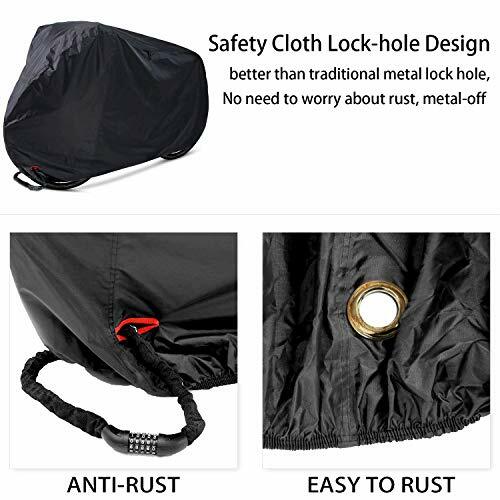 Anti-UV, Waterproof, Dust-proof, well protected your bike from any scratches. 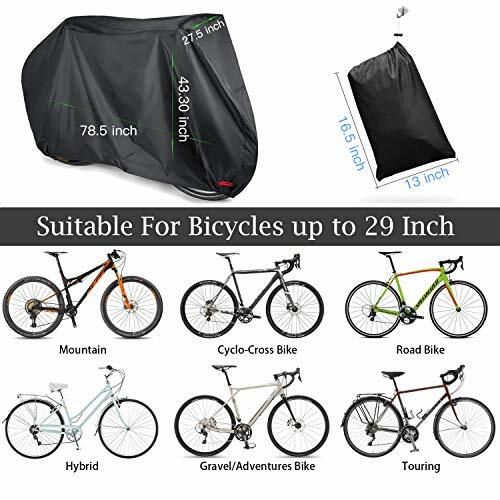 【Large Size and Fit Most Bike】Dimensions: 78.7″ L x 27.6″ W x 43.3″H, Please measure your bike before your purchase. 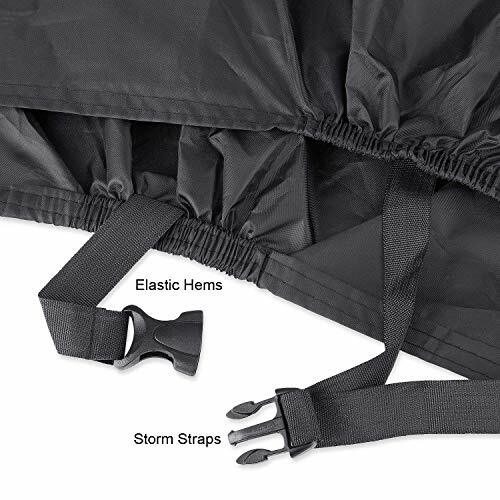 Suitable for 29er, Mountain, Road, Comfort, Hybrid, Cruiser. 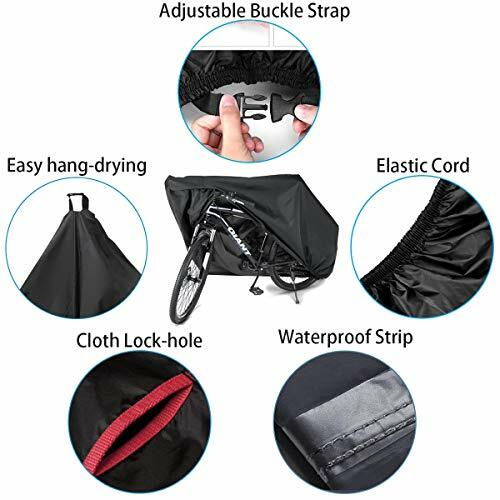 and other bikes up to 29″ wheel size.